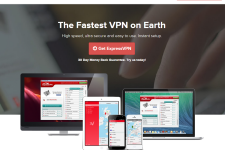 Relakks VPN Review – Is The Service Worth A Look? Relakks is a Swedish VPN service provider which is owned by Trygghetsbolaget i Lund AB. Launched in 2006, the company brands itself as Europe’s very first and leading anonymizing service. But does the company actually deliver on its promises? In this detailed Relakks VPN Review, we will look at the features provided by the service and decide if it is worth subscribing. Relakks has its entire infrastructure, including VPN servers, located in Sweden. Upon activation, the service provides a dynamic Swedish IP address to its customers. While there is no choice available as far as server location is concerned, the service would help you to bypass firewalls and censorship from restrictive environments and countries as well as allow you to unlock premium Swedish sites that are not available outside the country. For instance, you would be able to access Facebook, YouTube and other video sites, Skype, Twitter, Gmail and gaming sites from your office and countries like China, UAE, Saudi Arabia, Brazil and Qatar as well as unlock sites like Voddler, Spotify, WimpMusic, TV3, TV6, Kanal5Play, Eurosport, CMore, TV8, TV10, Kanal9Play and Viasat from any country in the world. Relakks does not impose any restriction on speed and bandwidth. The service is well-suited for activities like streaming of HD content, downloading big files, VOIP, online gaming and torrenting. The company does not prohibit P2P activities so you can use the service to anonymize your bittorrenting sessions. Relakks uses 128 bit encryption and PPTP protocol to deliver its service. Although the PPTP protocol is considered as the least secure VPN protocol, the service would help you to protect your browsing, messaging, emailing, VOIP and FTP activities from all kinds of monitoring and surveillance. In addition, the service would come in handy when you want to protect your passwords, bank accounts, credit card numbers and identity while using low security Wi-Fi networks at malls, parks, airports and hotels. The company does not keep a record of browsing activities of its customers. In addition, the company will not hand over user information to anyone unless served by a court order from Swedish authorities. Relakks VPN works with Windows (8, 7, XP, Vista), Mac OS X, Linux (Ubuntu and other implementations), iPads, iPod Touch, iPhones, routers and Android based Smartphones and tablets. The company does not offer custom VPN client so you will have to configure the service manually. However, the setup process is extremely simple thanks in no part to the detailed setup instructions provided by the company. The company has blocked port 25 to prevent email spamming so it is not possible to use email clients like Outlook and Thunderbird to send emails. In addition, idle connections are automatically disconnected after 10 minutes which many reveal your true IP address so it is recommended that you disconnect the connection if you are not planning to use the service for an extended period. The company offers support through email. The company has also published detailed troubleshooting information for many VPN errors so it possible to resolve common VPN problems easily. The company expects support emails in a certain format (available on the website) so make sure that you use the correct template while contacting the support staff. Also, a lot of customers have faced problems while using special characters in their passwords so make sure to go through the FAQ section before choosing your password. Relakks unlimited plans are available from 15 EUR per quarter and 45 EUR per year. 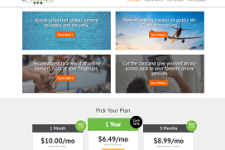 The lack of monthly subscription option is indeed a disappointment but the company provides a free 48 hour trial which should give you an idea about the capabilities of the service. Even though the company does not have a refund policy, you are entitled to a refund under Swedish laws if you have not used the service and claim a refund within 14 days. Relakks VPN does not offer too many choices as far as server locations, VPN protocols and subscription options are concerned. However, the service is affordable and offers basic protection against most security threats. 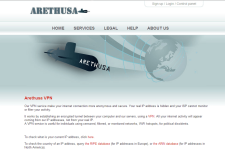 Check out the service if you want a Swedish IP address or if other VPN services are not working for you. For more information, please visit: www.Relakks.com.